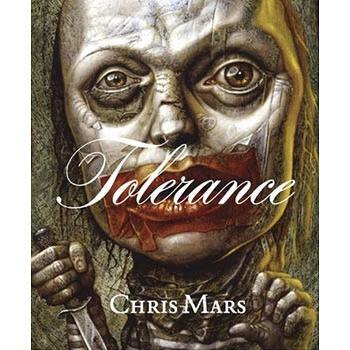 Le style de peinture de Chris Mars est marqué par des paysages cauchemardesques et des visages grotesques et déformés. Il tire son inspiration de la lutte de la schizophrénie dont souffre son frère ainé : "...From my hands, my mission: To free the oppressed; to champion the persecuted, and the submissive; to liberate through revelation the actualized Self in those proposed by some to have no self at all. It's in every single one of us, somewhere underneath that word on our chest. In my hands, my version: All art is political in some sense, be it through conformity, reflection, propaganda or rebellion. My paintings are rallies and trials, photographs of a moment when Truth was made public, and Mercy known. Question why a villain is villainized, a victim martyred. Ask why a group is demonized, and the motives for control. See for yourself what the truth looks like in your hands. Dig it up and hold it for a while. This work you see, it's my Truth. But please don't take my word for it."